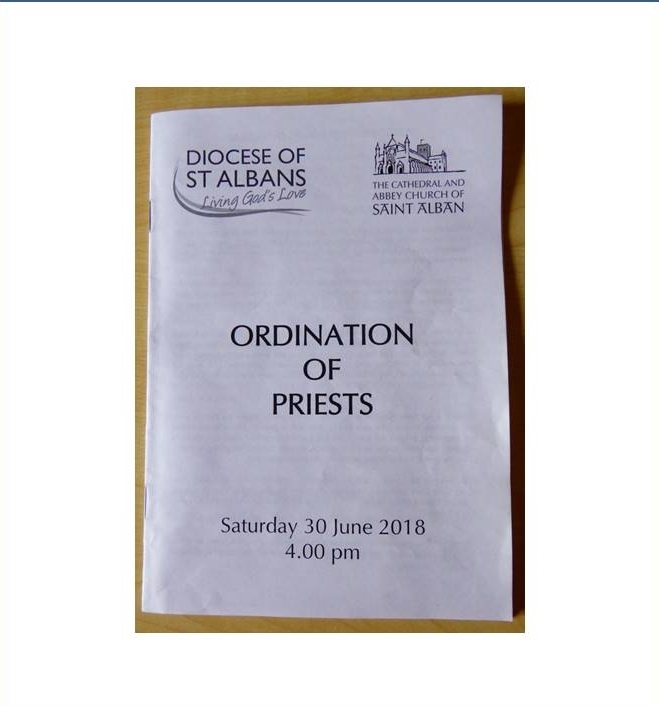 On 30 June 2018 Ian Smith together with 19 other candidates from the Diocese was priested at St Albans Abbey. 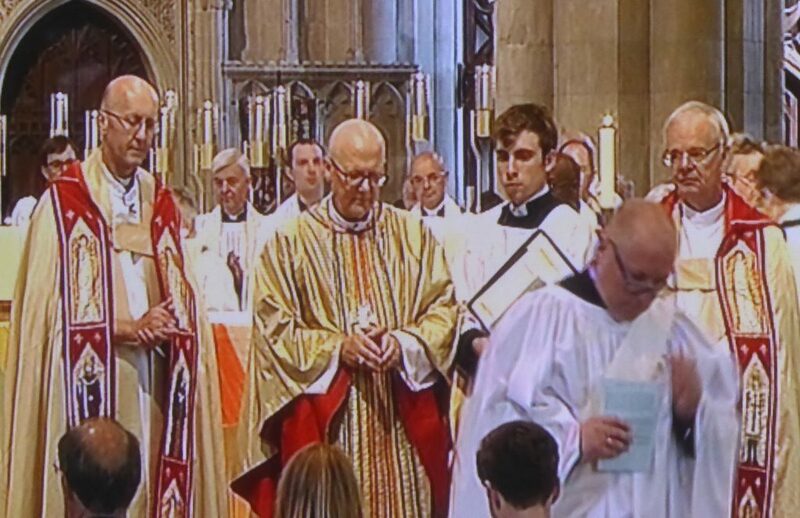 A congregation of about 1,000 attended the service to witness the priesting of these individuals led by the Bishop of St Albans the Very Revd. Dr Alan Smith. A coach had been organised for people from the Benefice to attend the service while many others made their own way. In total over 60 people from the Benefice attended to support Ian at this important moment in his journey to become a priest. It was a most moving service during which members of the congregation were invited to take communion following the priesting of the candidates. 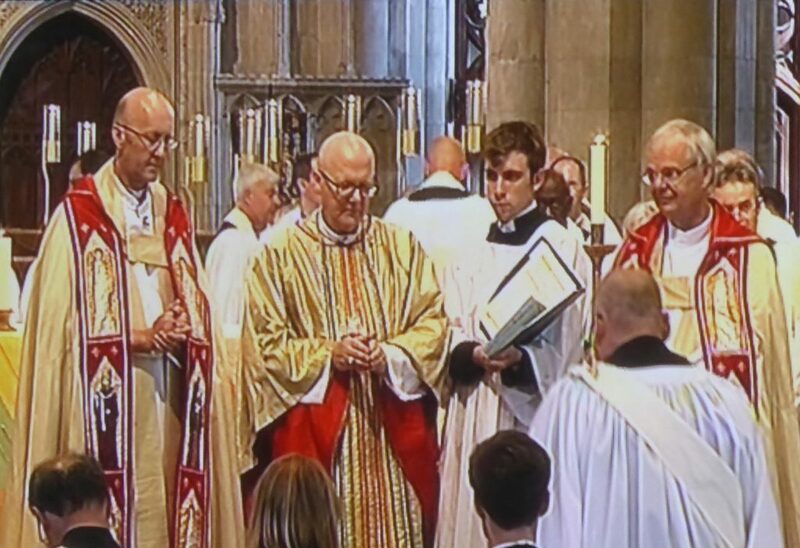 These 3 images, starting top left, record the process of Ian being priested. 1. He walks forward to greet the Bishop and to kneel before him. 2. 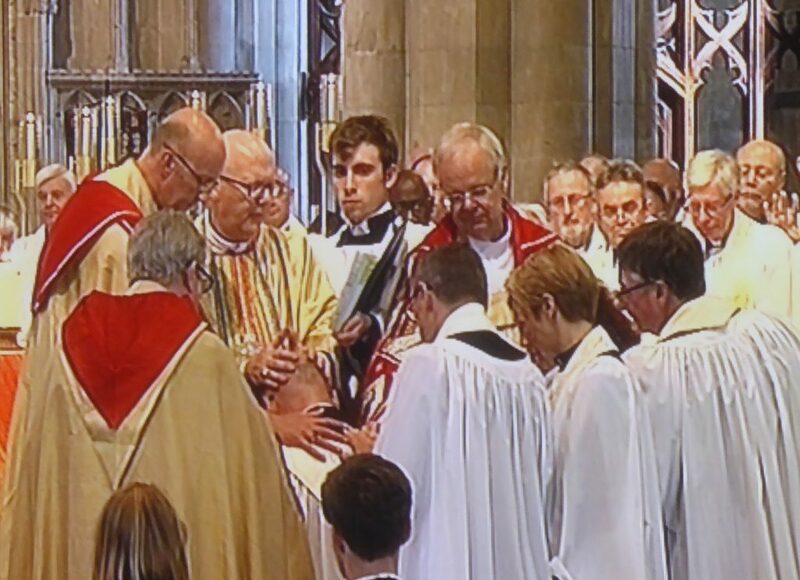 The Bishop lays his hands on him , together with Dave Bell and other supporting clergy, as he is ordained to be a priest. 3. Having bowed to the Bishop Ian leaves fully qualified to office and work as a priest in our Benefice.